This is the only place you will find the amazing Apache Strata honing stone. It’s a finisher you will turn to over and over again because it is that good! The grit is estimated to be somewhere between 10k to 12k–hard to pinpoint a number on a natural. The ability of Apache Strata to nail HHT4 without stropping, and hammer out a solid HHT5 after stropping, is what makes it a must-have in any straight razor honer’s arsenal. This stone polishes like a champ and puts a mirror finish on your bevel. 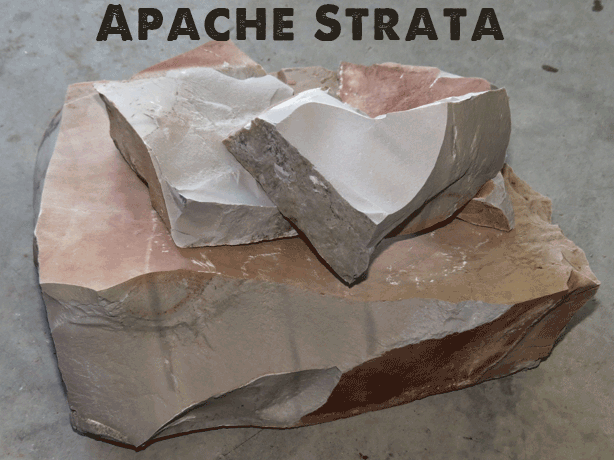 Somehow, Mother Nature hit one out of the park with Apache Strata! She proves once again that she is the best alchemist–infusing the perfect amount of iron into the cryptocrystalline silica layer where Apache Strata is found. That perfect hint of iron gives Apache Strata amazing cutting power without being aggressive. When you gently tap the hone with another stone, it gives off a stunning metallic ping sound as if you were hitting a piece of cold steel–yeah, it’s that awesome. The chemistry in this stone is seemingly magical. You will experience one of the best shaves you have ever had. Razor honing customers are raving about their shave. The blade will hold up longer before the next honing. The blade degradation is greatly diminished. You will bring your blade to a beautiful mirror finish with this stone. You don’t need to build up a slurry to do it–JUST USE WATER TO FINISH! This stone is found in a single protected location in the southwestern USA. The chemistry of Apache Strata puts it above many of the world’s most popular hones. This stone is found in an endemically iron-rich locale and is approximately 400 million years old (Devonian era on a geological time scale). Apache Strata comes in many hues and subtle patterns. Colors you may find are: sandy brown, medium and light gray, medium and light brown. The smooth microcrystalline-grained texture makes the raw stone look almost edible! The hones are slowly produced one at a time, so if you see one available, snag it. The creation of the Apache Strata honing stone is done by one man… me, the webmaster and owner of this site. What you see for sale on this site is what is currently available. If I am sold out, hang tight. More on the way (slowly). Here is a general overview of the Apache Strata and some possible questions you may have. Attempted to “break” the hone by pulling on opposite ends. Lapped it satisfactorily to remove gouges and saw marks (though you may want to lap the the stone to your own satisfaction). Ran a blade across the surface with water to check for good glide. Ran a final inspection for unacceptable cracks and chips possibly missed on initial inspection. I cut my stones on a rock saw with mineral oil as the lubricating agent. You may notice some discoloration along a hairline fracture–that is just mineral oil seepage that eventually goes away if you are a water user. If you have any concerns, please contact me. If I buy two or three stones to compare, will they all perform exactly the same? No. There will be variances in the performance. Some stones cut fast, others not so fast. I am positive it has to do with the iron content. Each stone has its own character and attitude. It will be your stone(s), so you have to get to know it through use. The Apache Strata will achieve impeccable results through trial and error, testing… and ultimately, the skill level of the user. How hard is this stone? Very. It is a phenomenal finishing stone because of its hardness. I don’t have an official Mohs hardness rating on the stone, but I would guess it is about a 6 or 7. It fractures conchoidally and is brittle in the chipping sense. 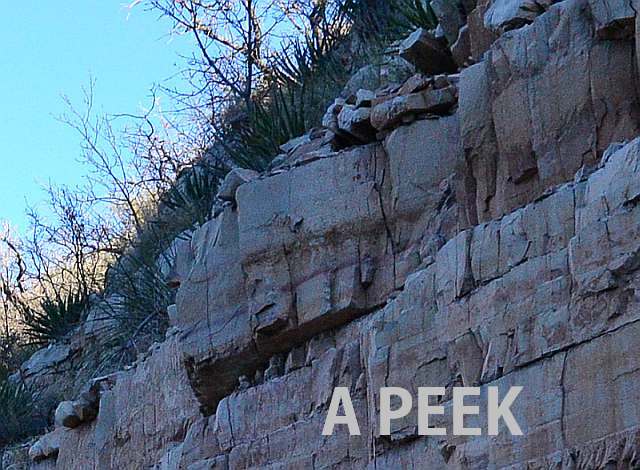 It has characteristics of chert, though not as smooth–the Apache Strata has extremely fine graininess. The stone itself would probably make great spear- and arrowheads. Will this stone slurry well? Not really, especially if you are using a slurry stone made of Apache Strata–which makes a light, transparent slurry. If you want to make a really nice slurry, you will need a diamond hone of about 800+ grit (finer grit so you don’t gouge the surface too much). That said, great results are being achieved with WATER ALONE. Is the Apache Strata porous? Yes, it does soak in water/oil. It behaves like any other natural honing stone a la the jnats (Japanese naturals). If it didn’t soak in water/oil, it would basically be an agate, which it is not. To keep your stone at its optimum stability, be sure to wipe off the liquid when you are done honing and never soak the stone. Some swear by soaking, but I cannot recommend something that hasn’t been thoroughly tested and reported (soak at your own risk). This stone will last you many lifetimes if you take care of it. Since Apache Strata is a new addition to the finishing stones of the world, using the stone is a learning process for all of us. One curiosity, though seemingly rare, is the beading of water on the honing surface. It may not be a factor with your stone. It will vary. The beading is due to surface tension and hardness of water itself; as well as how your stone’s surface reacts to your water supply. The stone’s porosity may have allowed in some residual oil from the cutting process. Don’t fret or fear the beading. There is an easy fix. Partially fill a cup with water. Then just add a drop of dishwashing soap to the water you are using. You may want to add or reduce your water amount to every drop of soap to satisfy how you prefer the glide to feel during the honing process. PROBLEM SOLVED. Enjoy your honing experience. To what degree are these lapped? They are only lapped to a useable state. Are they perfectly flat? Likely not, unless I got lucky; but they are close on the smaller stones and less likely to be perfectly flat on the larger stones. I have a production cycle which includes fast spinning saws for cutting raw rock and diamond discs for material removal. I wish I had the time and wherewithal to focus on each and every stone during and after production, but I am a one-man show with a lot on my plate. My objective is to take the very rough stone and transform it into a starting point for the honer. You can hone on the stone you receive, but is highly advised that you lap it yourself to the desired flatness. How do I max out on the Apache Strata? There are many techniques to honing. One of the wide array of regimens which seems to get consistent, amazing results is through a progressive honing process involving 1k, 3-5k, 8k, then finishing on the Apache Strata (water only). While finishing on the Apache Strata, use 5 laps (‘x’ or whatever method) with only the weight of the razor for pressure, test. Another 5 laps, then test again. You have find your sweet spot on the stone so that you don’t over-hone or under-hone. Trial and error, folks. Try everything you can think of and determine what is best. Experimenting on this stone can be rewarding and very satisfying.